How can I find out whether a job board is the real deal? Home » How can I find out whether a job board is the real deal? Have you ever heard of JobSearchSite Inc., dba NOW? It sounds good, but how do you check on them to see if they’re the real deal? In this edition, let’s try an experiment: Video. Hope you enjoy it. There are so many job boards coming and going that it’s impossible to keep up — but I don’t even want to. While your competition is getting interviews and offers, you’d be spending your entire life trying to check these places out. Or you could pick four companies you’d love to work for and go research them instead, to make personal contacts who will give you the real low-down and help you get in the door. Remember: There aren’t 400 jobs out there for you. Choose carefully and approach doggedly. So… how’d this video experment come off? (Other than my novice production values!) Is video Q&A to your liking? Should we do more of these? Hit me with your critique — too long, too short, get a new shirt, stop the rapid eye movements (sorry, I had to use a few notes…), add a CNN backdrop… use hand puppets…? Am I chasing the salary surveys? Bankrupt & Unemployed: Will a background check doom me? There was a big story about staying positive in the job search in the Chicago Tribune last week. Some of these people must have read your stuff. Too many people put all their eggs in the resume-and-job-boards basket. The young woman in this story gets it. She invested in people, face to face. That’s where you can build real equity. Consider her competition: sending in apps and waiting. Consider the people at ESPN making hiring decisions: They got to know this woman and undoubtedly started talking about her. The alternative was resumes. Woman. Resumes. Face to face engagement. Resumes. Not a difficult choice. So, why do so many people focus on a dumb piece of “paper” doing the talking for them? I.e. I’m shy, anxious, non-assertive etc, so I’ll just get a piece of paper to do it all for me, safely. Of course, over the years we’ve been told that it’s the “correct” way to look for a job, which doesn’t help. The only time job boards have done me any good is long after ?’ve already gotten hired somewhere else. 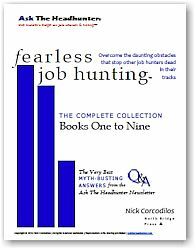 Aside from all of the ‘Nick Approved’ met?ods of job hunting, whether i’m actively or passively searching for ‘the next gig’, I’ll toss a copy of my current resume up on Monster, Dice and Careerbuilder, just for the hell of it. When i do get that next job, i just leave it up there. Twice i’ve gotten positions from doing this, once when a consulting firm found it, the other when a ‘real’ headhunter with an exclusive engagement to fill a position did. Both times they used the job boards to data mine potential candidates by keyword, had a lower level person who knew the industry in question sift out the dross, and then had the actual ‘headhunter’ contact the potential ‘real’ candidates. Makes sense to me how they used those boards as just giant databases of industry workers, they didn’t post the positions they were filling on them, and weren’t really looking at the age of the resume. Seems to me a smart way for a headhunter to use those systems. Those’re the only times i’ve been hired due to a job board, when it was just one more of many wàys of putting myself ‘out there’. 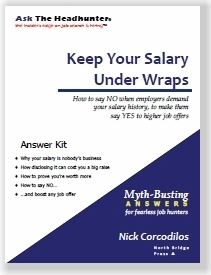 Nick – I’m not going to comment on how useful the content of your video is since I’m a subscriber and find all of your ideas and advice about job hunting to be insightful and valuable. What I will say is that video is a great idea. Reading your weekly column is good enough but having it on video now is even better as the impact of your advice comes across much stronger. Thanks for evolving the technology with which you distribute your great content on job hunting. I’m a new subscriber today and had to drop in and say that this video post was timely for me. I’m in the middle of a job hunt (still employed but need to move), and was despairing at how useless and ineffective the whole job board/resume routine has been for me. 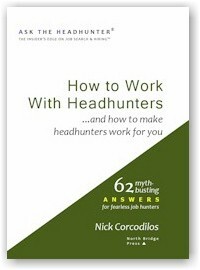 Thanks Nick for introducing me to a wealth of useful information! @Jane: That’s a really good point. Developing confidence is, and should be, a huge part of job hunting and success at work. Yet, lack of self-confidence is largely ignored. It’s written off as an untouchable “personality” issue that we just have to live with. Ick! You can’t tell Jane that she seems to lack confidence! We just don’t talk about that stuff…! But without self-confidence, there is no success. (Sorry, Forrest Gump fans, but he wasn’t confident. Just stupid and lucky. I never could figure out the appeal of that movie… Urgh… Hope I didn’t start a Gump Attack!) It’s as important as technical and management skills. Jane, you ice the cake when you point out that we’re supposed to be quiet and reserved when applying for a job. That’s the mentality of the gate-keepers, who must maintain order in the ante-room, while job interviews are conducted in the inner sanctum. A piece of paper doesn’t do it. I liked the video. Good job! The video idea is great, concise and to the point. But then, you are a man of a few well chosen words. Bravo. The video was a nice change. I wouldn’t want every article to be a video, but every so often is great. Shirt was fine, video production is great (frankly, if you made it more professional, I wouldn’t feel like you were speaking to ME but rather to the masses). The length can be variable depending on the subject but I wouldn’t say past 5 minutes unless you position it more as a webinar. The tried and true technique for me has always been networking—getting out there and talking to as many people as you can. If you have specific places you want to work in mind, focus on people affiliated with them. If not, just talk to everyone you know. Don’t look for jobs. Look for people. For some reason I thought you’d have more of an East coast accent. There is only one thing I’d suggest you do differently: Use a straight-back chair that doesn’t wiggle. You look like my 6yo! How can you tell when a job board is lying through their collective teeth and blowing hydrogen into their pitch? Simple. Their website comes up. I’ve found the best method for getting a job involves (a) under-promise and over-deliver; (b) be available when they need you, not before, not after, WHEN; and (c) show rather than tell. For instance, I showed up to help out an engineer buddy of mine at a new TV operation just because he needs a couple spare hands to get the kludge to stay on the air for a 3-hour live event. I shake hands with management, help him, do what he asks, make a few suggestions (really easy on the technical side, because the business side is always a bear). A week later I get an offer for a “jack-of-some-trades” position involving some grunt work (watching taped sports events in real time .. oh the pain!!!) 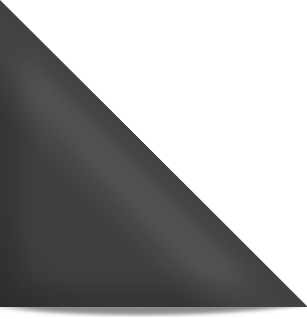 some technical management, and some project management … just for showing up to help! The video was a great idea and just fine for a first effort. It’s your style to be short, concise and clear. Still offer a written commentary as sometimes I am reading it on my phone or a hotel computer without sound. If nothing else, for the first time in years, I know how to pronounce your name!! If you haven’t heard it recently, thank you for all the clear common sense advice you have given in America when the need has never been greater. Perhaps it’s time to aspire to some greater goals such as traveling to larger cities (I’m in DFW) for speaking engagements, doing talk radio or even TV. No, it’s not necessarily for the money (although that will come as well) its to reach a larger audience, to have a greater impact and to actually change things. The model to follow would be Dave Ramsey. He is doing the same thing with clear, concise, common sense information except his is about money. Yours is before that, how to MAKE the money. The typical America worker needs your information during this long worn out recession. Headhunters don’t cater to the typical American worker but for reasons only you know, you have reached them. There you go. Some John Doe reader has challenged you. Think about rising to the occassion of these times in our country. A lot of people like them but many can’t use videos at all due to hearing problems, bandwidth limits, corporate restrictions, or language/translation issues. Others, like me, just find them annoying because it’s slower than reading and it’s impossible go back later to an interesting bit except by listening to the whole damn thing again. Video content will not be indexed and so is less findable on the internet. All of these problems can be solved if you provide a link to a transcript whenever you post a video. I really liked the video format in addition to your regular newsletter. It felt as if you were talking straight to me! It was short and concise; a great sidebar to your newsletter. I look forward to seeing more of them! Listen to the audio at low volumes to verify that when your volume lowers naturally it doesn’t fall below listening level. I agree that a readable transcript should always be available. I liked the video. Well done, short and concise. But I’d still like to have the regular newsletter/transcript saved in my mailbox for future reference and searching. Videos are fine for people who have plenty of bandwidth at a minimal price. However, at my previous location, I was on dialup and if a site depended on video for its content, I would ignore it. Even the so-called “broadband” in my then-neighbourhood wasn’t up to rendering videos. Therefore, I’d prefer to have the videos just occasionally and with a transcript available as well. I think the video is a nice touch from time to time. On the topic of the video – I agree. Most effictive way to actually get a job (or even an interview) is through face-to-face contact. I’ve gotten more interviews/jobs from knowing someone as opposed to responding to a job board or John/Jane Doe recruiter. Nick, good job on the video, and it does make a nice change. But, as someone without a computer (I’m at one of the local libraries that has the bandwidth and the capabilities for users to view videos; the other local library’s computers doesn’t have that capability), and as someone who likes to go back and review articles, I still prefer print. It is easier for me to save, to access, and I don’t have to listen to the entire video again if there are a couple of portions of it that I want for future reference. Re the substantive matter of the video, yes, you’re right. I haven’t used a job board in more than 12 years. The last one was Monster in the late 1990’s. A former colleague had gotten a job using it, and had recommended it. I didn’t have any luck, and quickly reverted to my usual methods of talking to friends, former co-workers, family, acquaintances, gym buddies, my hairdresser, doctor, dentist, and using my alma mater’s career services (and alumnae network). But the job market AND job search has changed dramatically since the late 1990’s–we’re in a depression now, there are more highly skilled unemployed people competing for fewer jobs, and technology has advanced, which has changed how employers handle filling positions as well as how people search for jobs. Back then, I would have either mailed a hardcopy of my résumé or sent it via an email (attachment) to the company or agency, along with a cover letter. Now I’m steered to an online application that sets parameters and requirements and doesn’t give me the options of working around the “I don’t have a phone number for those previous employers because those previous employers are no longer in business” and therefore I cannot proceed with the application. I no longer feel like a human being in this “new” process; some of it is due to the sheer number of people applying for jobs, but the other part of it is due to an abrogation of duties by the companies and/or agencies–computers do the screening, weeding out everyone who doesn’t match every single one of their criteria for the jobs, rather than having a human being look over candidates and thus thinking (what a concept) that even if a candidate only matches 8 of the 10 criteria, she is still a good candidate and could be trained to do the job. Nick, good points, as always. I appreciate your advice and comments. Keep up the good work! @Dave: I agree with you re your comment about technology getting in the way in building relationships. I can’t count the number of times I’ve seen a couple walking down the street or even sitting on a bench or stoop, holding hands and they’re both talking, but not to eachother–on their cellphones, to others. I’ve seen it in restaurants, at the supermarket, the post office, the library (though the library is really good about getting after people who insist on talking on their cellphones and making them take their conversations outside), at the bus stop, and more. In my last job, my second-to-last boss was the kind of person who would email or text employees rather than knock on the doors to their offices, say hi, make polite chit-chat for a few minutes, then tell us whatever it was that she wanted to tell us. That kind of face-to-face conversation, the small talk, which didn’t take up more than a minute or two but certainly helped people feel more connected to eachother as human beings, not just units of work. Of course, this boss couldn’t type so it always took several emails before we could figure out what she really wanted. The boss after her was not the kind of person to talk either, and I’d get a project with no instructions, no deadlines, no idea who it really needed to be completed for (it was never for him, unless as a cc), no context and no information. 50 emails later, I’d finally get the info I needed to adequately do the job. I’m finding the same thing in the job search; people don’t really know how to interact with other people, how to communicate, and oh so much can go wrong with an email or a text. And with email or texts, it is easy to ignore that person. I’m sure that recruiters are falling into the same trap;- and they’re mining the ancient database (8-10 years with nary an email or call, then suddenly they remember you?!) because either none of their current leads have panned out and they’re desperate, or their system crashed and for some reason they still have your old contact info somewhere, forgetting that they never bothered with you the first time. Either way, you’re right–it looks really really bad for them. So this begs the question of how we can break through to people who are tech-savvy but social skills-challenged? It’s important for both our personal lives and our professional lives. Read and carefully study your advice, glad to have access to past articles for a refresher, and yes, now I finally know how to pronounce your name thanks to your video. Have tried the networking route but ended up with a lot of dead ends. Have the education and years of experience though have spent the last ten years in the theology field; difficult to explain how I could present that as an asset toward adding to the “bottom-line” without going back for a Master’s in another field. Cool video though. I’m not a big fan of videos for all the reasons already stated. Job boards and job fairs were the main experiences that led me to fall into clinical depression just weeks after I lost my thirty-year position in early 2009. The basic scorecard for interviews since then: recruiter (2) want ads (2) craigs list (1) state job board (2). The scary thing is that this is a better-than-average number of interviews–millions have had far fewer, if any. As I recover from depression, I am facing the boards and the fairs much better as I understand their limitations. I use the boards to research my own work profile (a couple of job descriptions described my capabilities so well that I modified them to use as attachments to my resume). I use the job fairs to research companies. I found a couple of nice ones this way to keep my eye on per Nick’s MO. I’ll have some more comments on boards later; gotta prep for another interview (source unknown). Sound advice for qualified applicants. But ‘qualified’ applicants already know this, and dont have trouble getting interviews. Down-sized job seekers who havent kept their skills up, or continued their education, are the ones who are still out there searching through every job site. I know because I am one of the over-50 set in this category who was replaced with a younger, sharper kid who will work for half of what I was making. The key for me to move on, was to accept what happened to me, take responsibility for it, and fix it by going back to school. 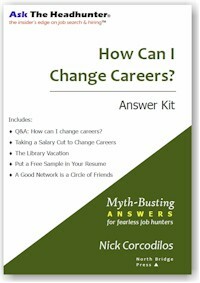 I am reinventing myself to become a qualified applicant in my new field. I’m a year away from having my new certification and until then, will continue to work my hourly job (with benefits!) and be grateful I have even that to get up and go to each day. @Bill: Thanks for that reality check. Sometimes the right solution is to re-tool, get training and education. A friend of mine is the career center director at a major business school, and she fields the “How Can I Change Careers?” question from seasoned managers who want to believe it’s a matter of applying to the right company and getting an interview. Then she digs deeper and finds they lack the skills they’d need — and has to tell them to build their chops first. And that sometimes requires training and education. Good for you for making the investment. While I don’t believe that getting a new degree guarantees a job, I also believe that more education is a good thing if you can afford it. Just keep an eye on the objective, and try to make sure what you’re learning matters to the employer you want to work for! When using a video, please make the primary email body the transcript of the video, with a link or window for the video. Once or twice a week I spend an hour or two reading emails at public libraries that don’t provide headsets and/or have sound disabled, and videos tend to be very jerky. With a plethora of Job boards out there, it can be a nightmare knowing which ones are best, or even if they are legitimate. Good advice in the video – choose the company or position you want first, then go to them – that makes sense. I like the video, but I have a comment on the content. is not a job board (unless the definition covers this function). This is an executive marketing company. They offer to 1) go through your job history 2) rewrite your resume and other marketing materials 3) run a marketing campaign on your behalf and get many interviews for you. It looked very solid. Fee is several thousand up front before service. First person gave me an impression that there is no pressure to make a decision and I can choose to work with them later. Two people after that put some high pressure selling strategies on me. Had to make a decision right away. I did not like that. As you advised in your video, I asked for references. I talked to two people who were recruited as a result of working with NOW. They seemed legitimate and had a good experience with the company. I asked, but did not get more references for clients or managers that used their services. Company has BBB.org’s A+ rating. Only one complaint which was resolved. Has anyone else had experiences with this company? Do you have a professional opinion about this company? I was contacted by JobSearchSite Inc.
dba NOW. They were very well scripted; however, it came off as a total scam. They called me; they promised all sorts of wonderful things; they wanted my credit card information. Finally, when I insisted on checking them out before I commited to anything, they hung up and said they would not take me as a client. SCAM written all over it.